After more than 26 years owning and operating a successful bakery, I know I could not have achieved what I have without my employees. I sell delicious products made from fresh, wholesome ingredients, but without engaged employees, I would not have a thriving business. Engaged employees understand and believe in your product, your service, and your mission. Each individual contributes to the success of the business. When you treat employees as your business’ most precious asset, they feel valued. When they feel valued, they’re engaged. That means they work harder, smarter, and look for ways to make the business better. Engagement starts with the leaders providing clear expectations and open communication. The company’s vision, mission, and goals must be well defined and well communicated. Everyone in the company should be able to recite these because they are communicated over and over in many different ways. Honest communication is critical, both the good and the bad. When people aren’t informed, they make up their own stories about what’s happening. Be inclusive. Encourage and value employee ideas on how to improve the business. Employees often have great suggestions because they know what’s working and what’s not in their job. Respect every person, in every position. If a job wasn’t important to your company, you wouldn’t have the position. Everyone wants to feel good about and take pride in what they do. Showing appreciation is key to keeping good employees happy and engaged. This was a hard lesson for me to learn, as I always strive for excellence and improvement, so sometimes I forgot to stop and be grateful for everything that was going well already. Forbes tells us that 66% of employees say they would "likely leave their job if they didn't feel appreciated.” And for Millennials, “the number of employees who would leave if unappreciated jumps to 76%." At Bakers Pride, our entire team works together, continually striving to be the best in the business. We’re all committed to serving our customers, and that makes running this business a sweet treat! 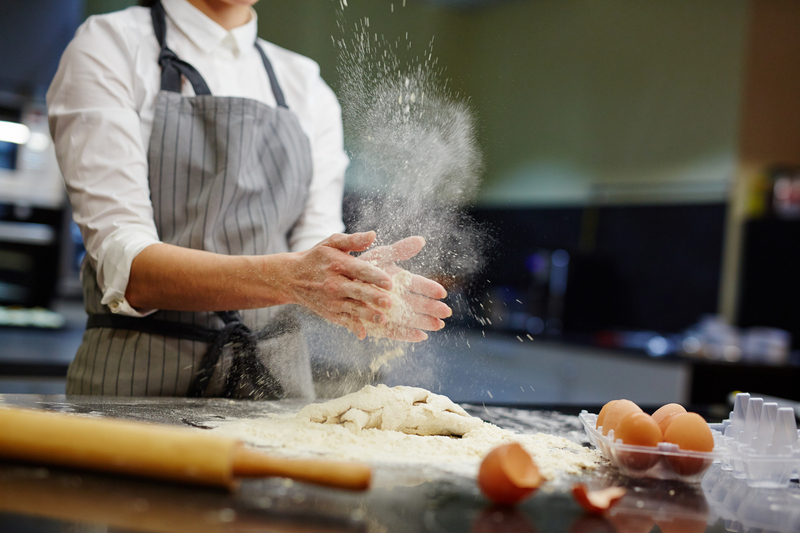 Contact us today to see how our engaged team can help you with your fresh bakery needs.